Young | 1001 Movies…Before I Die! When facing down a list as formidable as this one is, I find myself assuming that each film on it means something. Whether it’s historically important, the swan song of a particular star or director, or maybe it simply broke all the records at the box office. Apparently that isn’t always the case. Muriel’s Wedding, while rather fun, and charming enough, manages to be none of these things and still it’s here. The film tells the story of the wedding obsessed Muriel (a young Toni Collette, in her pre-Hollywood days), and her exodus from the family, friends, and town that seem to be working over time in order to keep her down. Muriel lives in Porpoise Spit, a diaper-rash of a little town filled with the shallow, ignorant, and self obsessed people who exist (in one form or another) in all small towns. Leading the charge of the obnoxious brigade is Muriel’s family, including her shiftless, unemployed siblings, the empty and ineffectual mother who barely exists, and the overbearing, loud-mouth of a father who worked so hard to drive and inspire these character flaws in his own family. 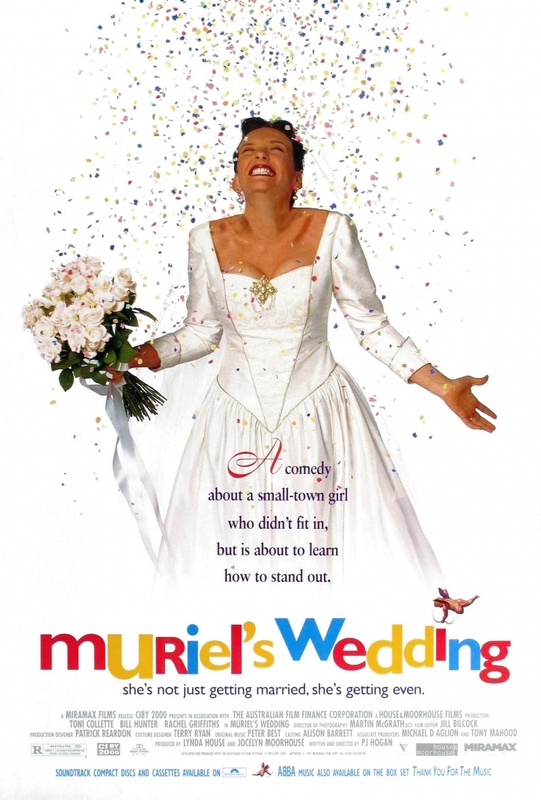 The most important thing in Muriel’s life is the bright, shining, future she imagines for herself (specifically the wedding part), never-mind the lack of any real interpersonal connection or the absence of any semblance of self-appreciation she may have for herself. She simply wants this ideal so badly that she doesn’t care just how she gets there, by hook or by crook. Perhaps it’s just one of those movies that doesn’t speak to me, or the place from which I came, or the time in which that place might have existed. At the very least, I remember the film coming out in theaters, however I don’t really recall it making all that much of a splash even then. The Australian revolution of film had a brief rekindling with the advent of the Crocodile Dundee franchise, but I’m afraid by the time Young Einstein came out in 1988, Mel Gibson had moved to the United States full-time, and everyone in the states stopped paying attention to what was happening down under. There was the occasional gem that came out of Australia from those backwards years also known as the 90’s, but for every Peter Weir, Guy Pierce film, there were two Paul Hogan films (Yes I liked Crocodile Dundee when I was a kid, but give me a break, I was a kid, I thought Battleship was a fun board game too). I realize that 1000 movies is a lot to come up with, but I could rattle off a dozen or so just off the top of my head that didn’t make the cut, but were world’s better. Next thing you know, they’ll be letting a Transformers movie onto this list…Nice try, but better luck next time. Instead how about trying Les Cage Aux Folles (a film I accidentally watched thinking that it was on this list), what would later be remade into The Birdcage. Both that film and it’s remake are more deserving of recognition to be sure. Coal mining town? Check. Dismal future? Check. Bleak story and pale washed-out color palette? Check. Yup, we have ourselves a film from straight out of England from the 60’s. Filled with angry young men doomed to continually revisit the heartbreak and disappointment that is their legacy, films like these made up their own film movement in the mid 60’s to the mid 70’s. Where other movements like the French New Wave, and Italian Neo-Realism seemed to relish the joy and spontaneity that could be present in everyday life, this typically English set of films seemed steeped in the grimy misery that surrounded the working classes of hard scrabble England. These films primarily deal with young men, raging and rebelling against a system that invariably gets the better of them. While that may seem an overly grim assessment of the this genre, it’s not meant to take away from the fact that these films often illustrate that in such hard-times also exist small moments of beauty and freedom. Kes, a film about a troubled young boy, bullied at home and at school, finds solace and acceptance in the act of raising and training a raptor (bird), and manages to illustrate this struggle for freedom and happiness quite effectively. Juxtaposing the cramped, dirty, and oppressive imagery of the institutions that keep our main character, Billy, tied down, with imagery of him caring for, reading about, and training his falcon offer us a glimpse at the type of freedom Billy aspires to. Far be it from me to chastise a film for being slow and depressing, but Kes in particular works very hard to crush and beat the anticipation and hope of something better right out of you. Each character, Billy, Jude (or Jud if you believe IMDB), and their mother, as well as everyone at the school seem stuck in their routines. Day in and day out, they aspire for nothing greater than to head to the pub for a pint, and beyond that perhaps a good snog to escape their realities. There is no higher or greater goal for anyone to pursue. The jobs are closer to punishments than careers, and the best anyone can hope for is maybe winning a marginal amount of money gambling, or a few jokes with friends after work. Billy is no exception. He trudges through school, endures teachers and bullies alike (although it can be hard to tell the difference), and often times suffers the same fate at home. His brother Jude constantly berates him, and his ineffectual mother spends the majority of her time trying to catch a marry-able man. He is lost, forgotten, and for all intents and purposes, completely alone. Once Billy finds the falcon, Kes (of the movie’s title), suddenly a whole new world opens up for him. He devotes his time and energy on something that gives back more reliably than something as short-sighted and temporary as gambling.. For a brief time, this animal brings Billy as close as he’s ever been to flying. However, as in all films of this sort, there is inevitably the point at which this new-found happiness is shattered, and we get to watch our main character crash back into the dreary life from which he came. Often times, it is due to some strife or conflict from a parallel story-line that comes back around from earlier in the film. In this instance it’s his contentious relationship with his older brother, Jude (it’s unclear whether or not they are actually brothers, but for all intents and purposes he is). The film starts with them fighting, and hurling insults at the other, and it ends similarly. Jude is determined, not to help his little brother find a way out, but to ensure that he is as unlikely to escape this life as Jude himself is. Movies out of England all seem to have a bit of melancholy to them, even Harry Potter was a boy forced to live under the stairs and be treated like a second class citizen. From this time-frame in particular, they seem to be downright oppressive. Kes is no exception to the rule, rather, it’s more proof of it. The color scheme of the film is dishwater browns and grays, and the camera work is mostly fixed position zooming and panning, tracking with our characters through these earthy, sparse environments. 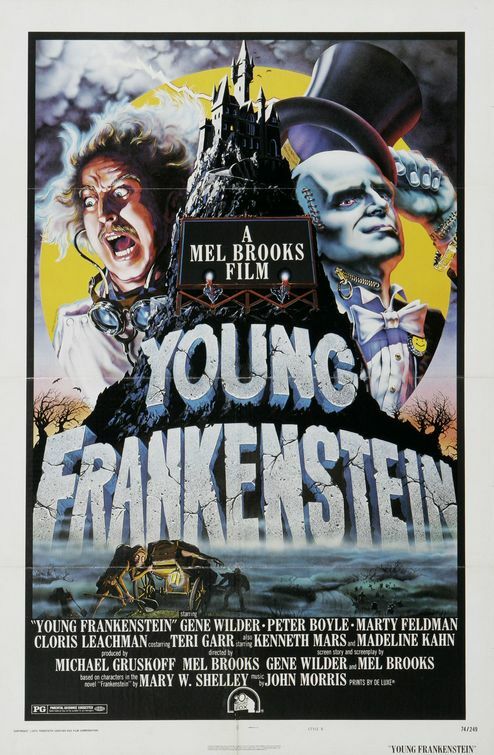 I’m not sure if the lack of color, or stillness of the frame was intentional in this film or based out of necessity, but whether it was or wasn’t, it was exceedingly effective, tempering any expectation that Billy would be successful in his spiritual exodus, with the reality of his eventual conformity. 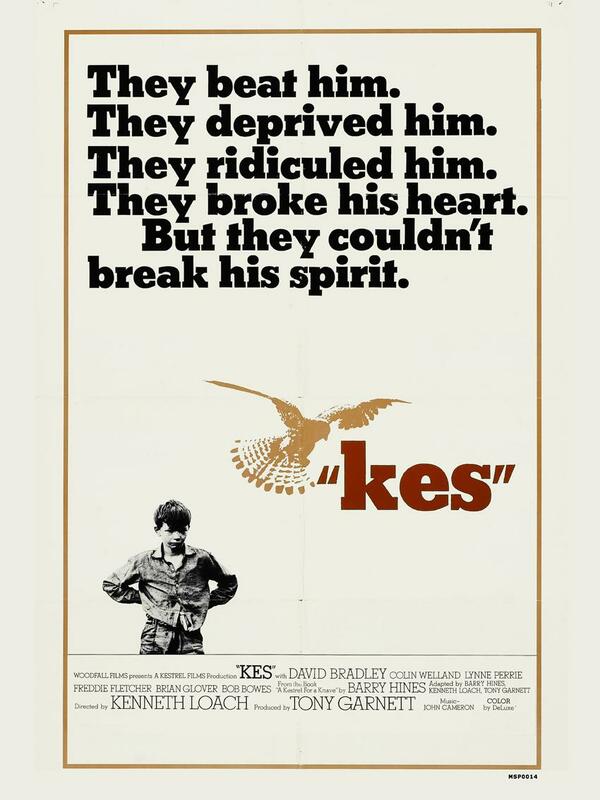 Definitely, a tear-jerker towards the end, Kes is a prime example of the “Angry Young Men” (dubbed so by the folks at the Filmspotting podcast) movement of English film, and the remarkable depression of an entire class of working people. While it is not an easy watch, it does resonate with the viewer at an emotional level. While none of the imagery has stuck with me in particular, the themes and tone of the film have been rattling around in my brain since I saw it. It’s a tough watch, though, so be prepared.